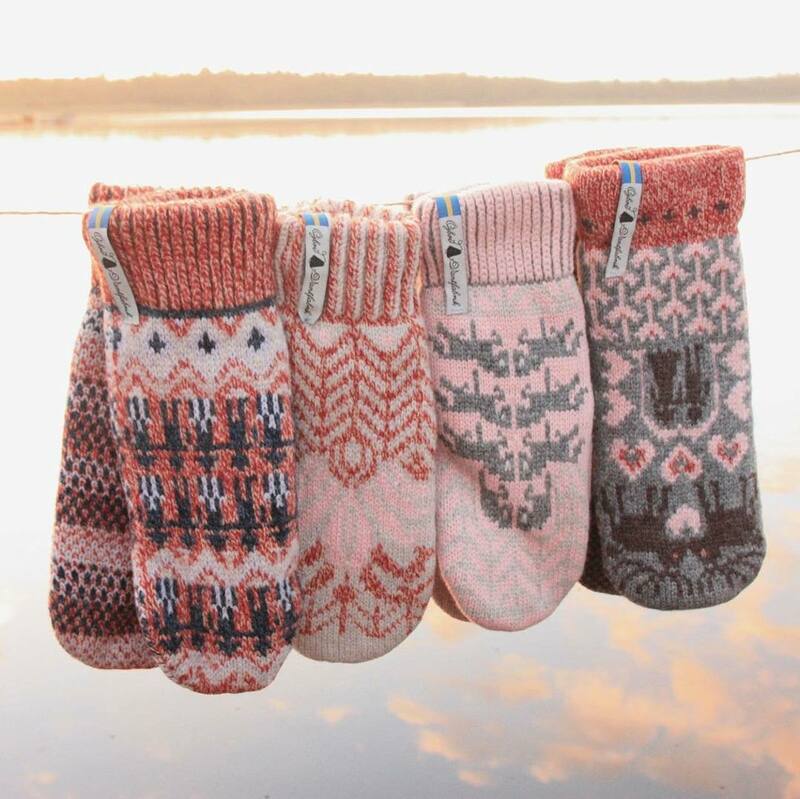 For Styles Available in Small, click here. 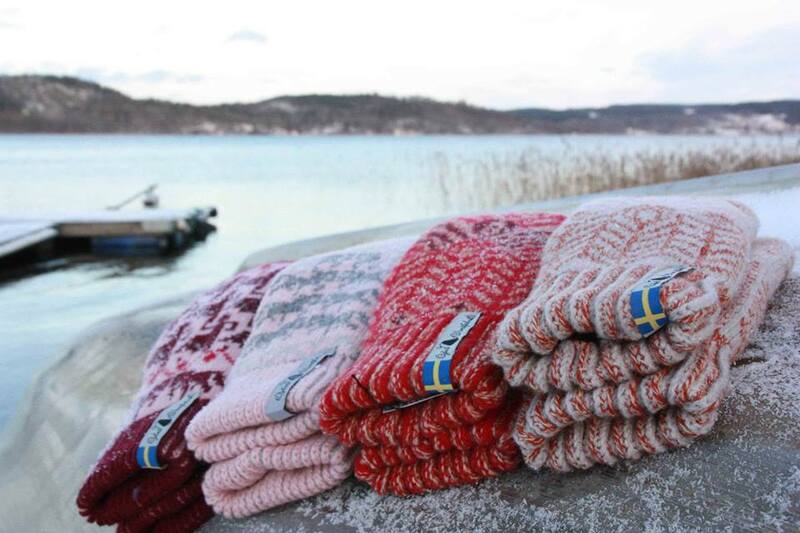 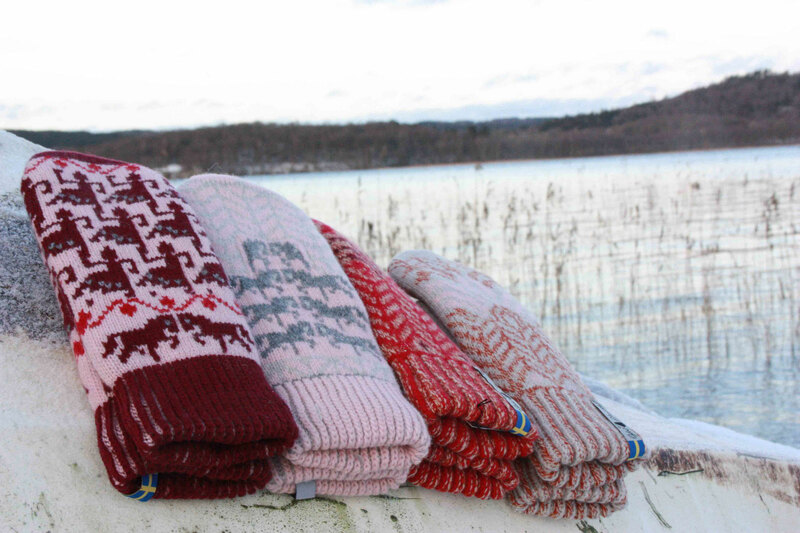 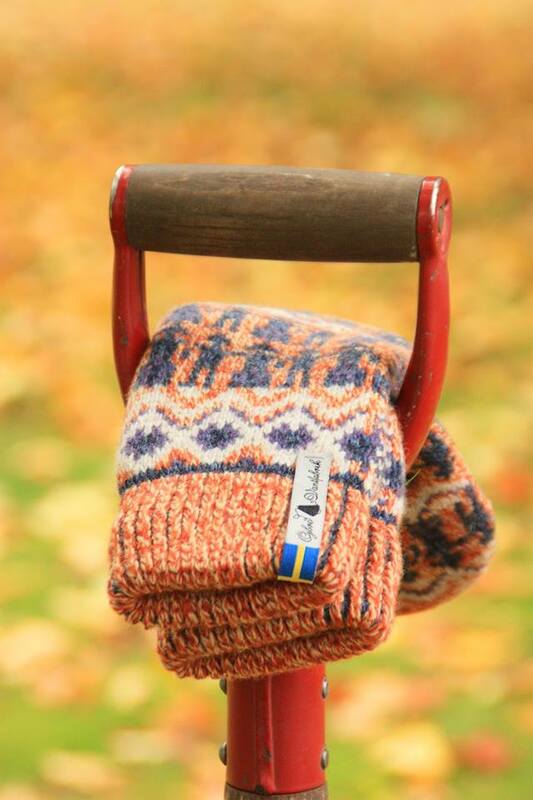 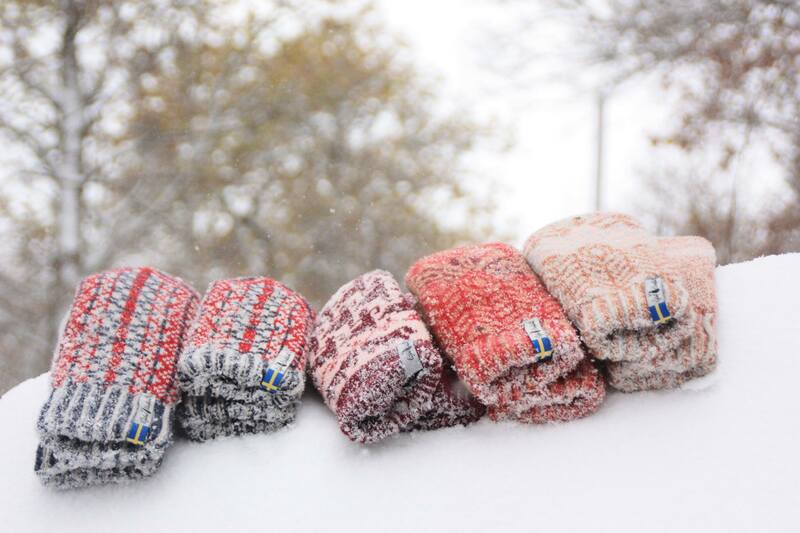 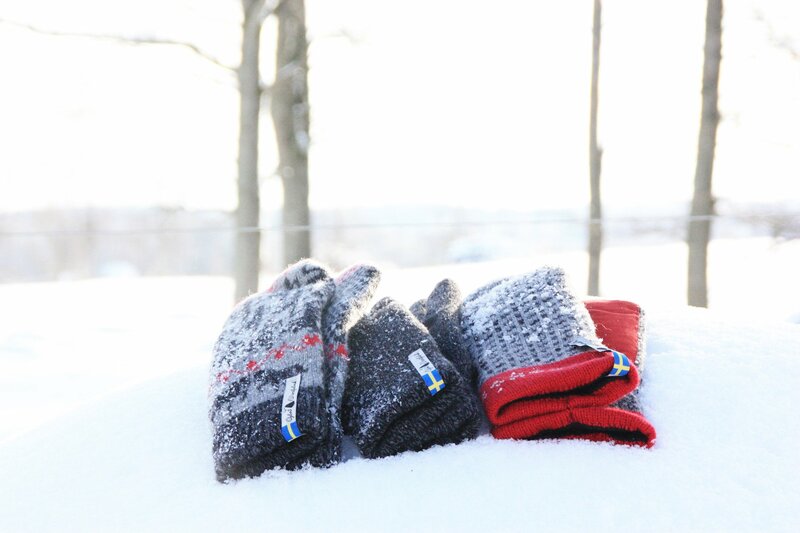 Started in 1994, Öjbro Vantfabrik of Sweden, makes extremely warm 100% merino woolens, so warm they come with a yellow and red caution label reading, ”Varning Varma Vantar," meaning, "Warning: Warm Mittens." 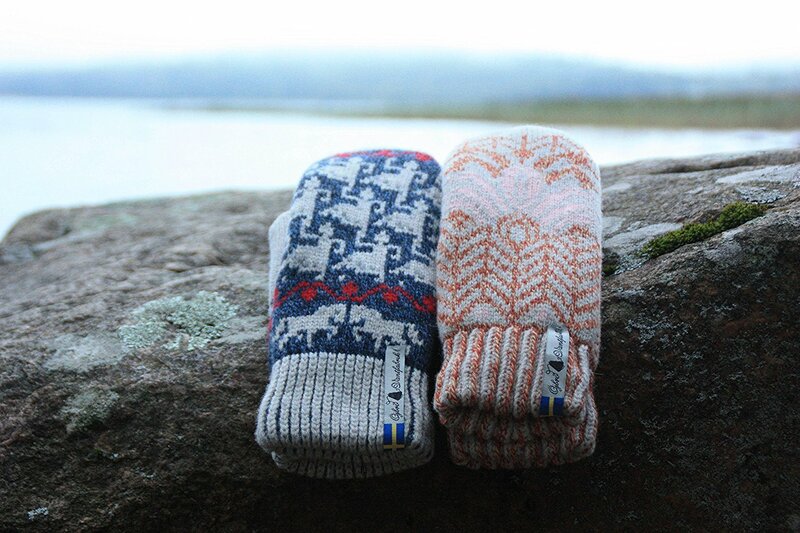 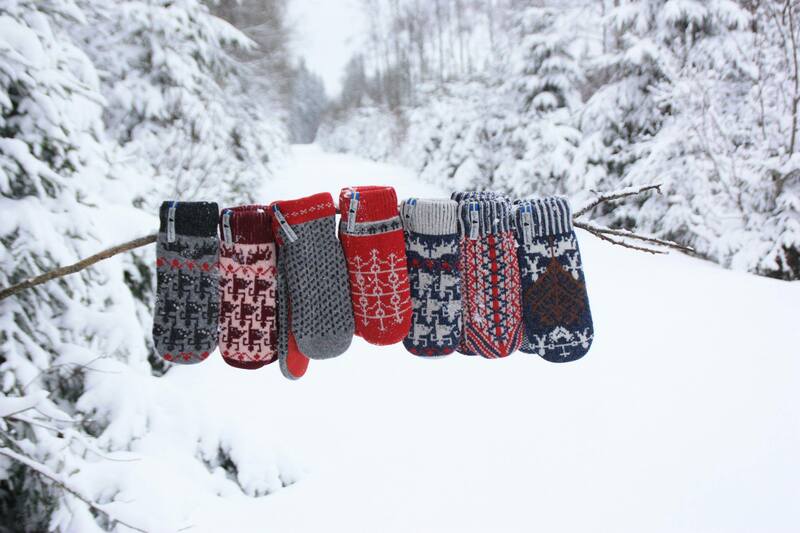 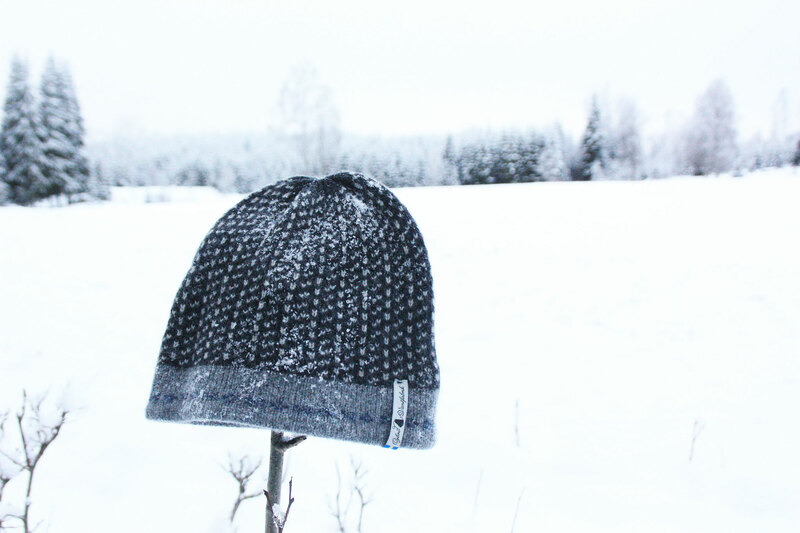 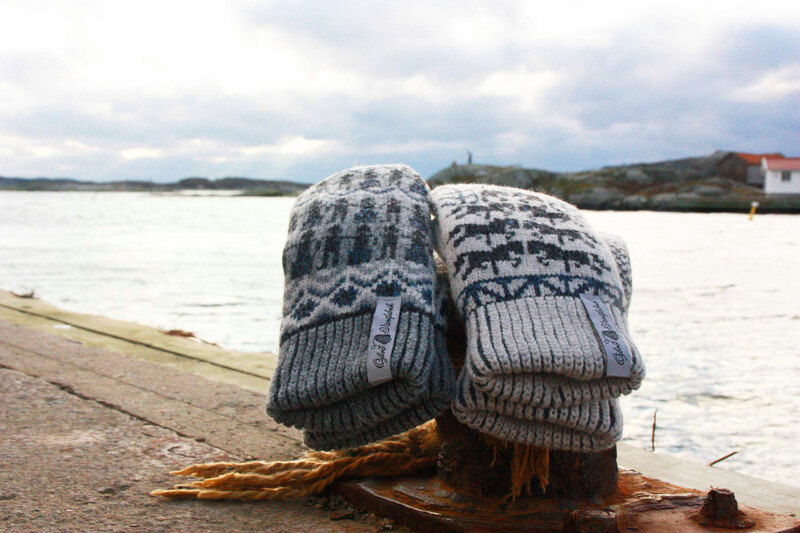 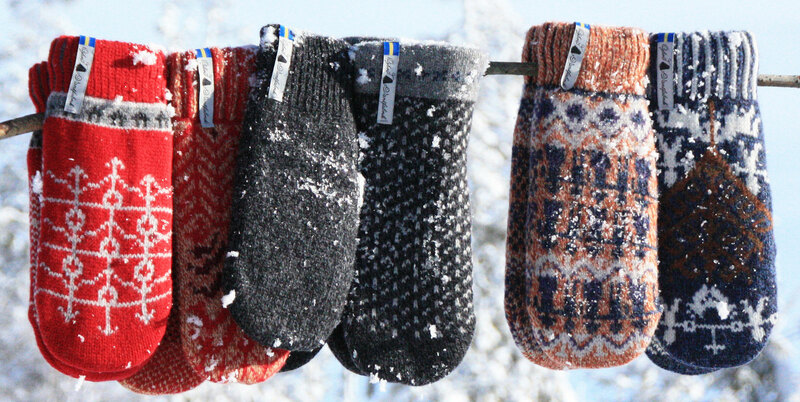 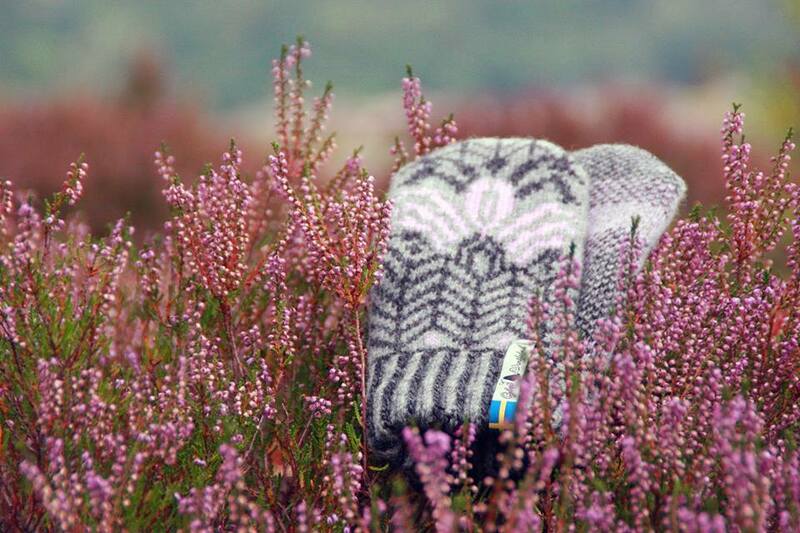 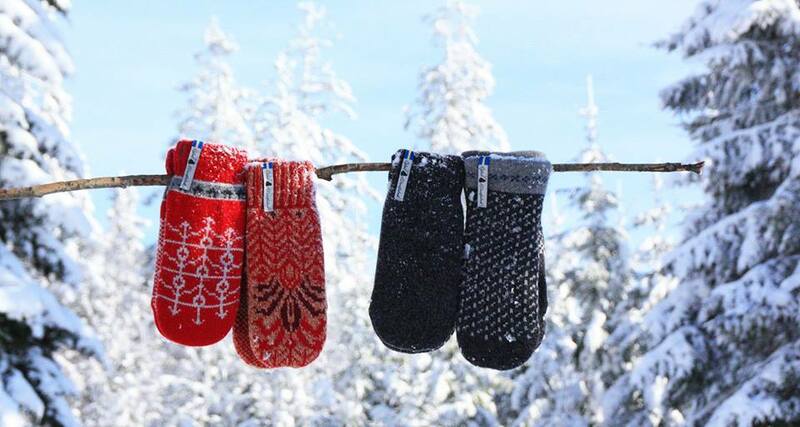 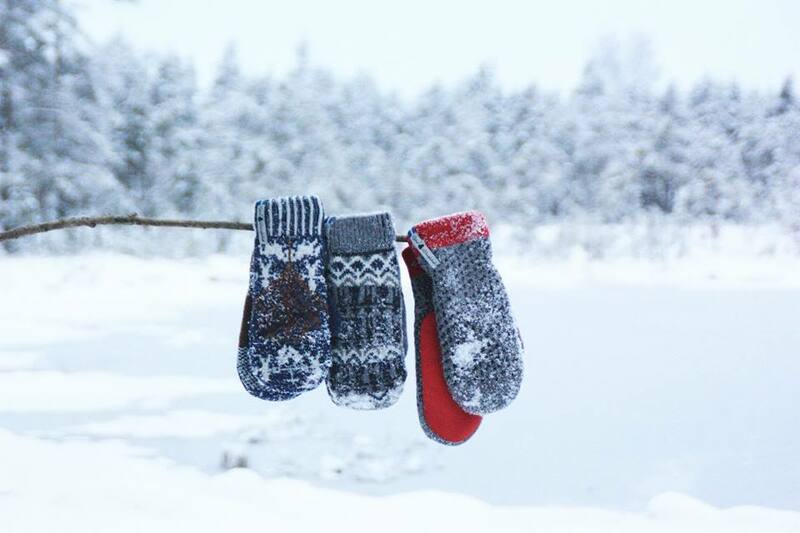 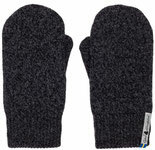 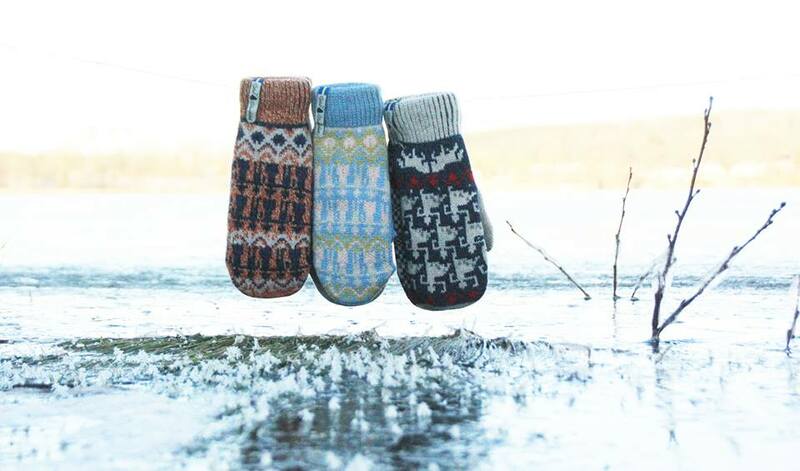 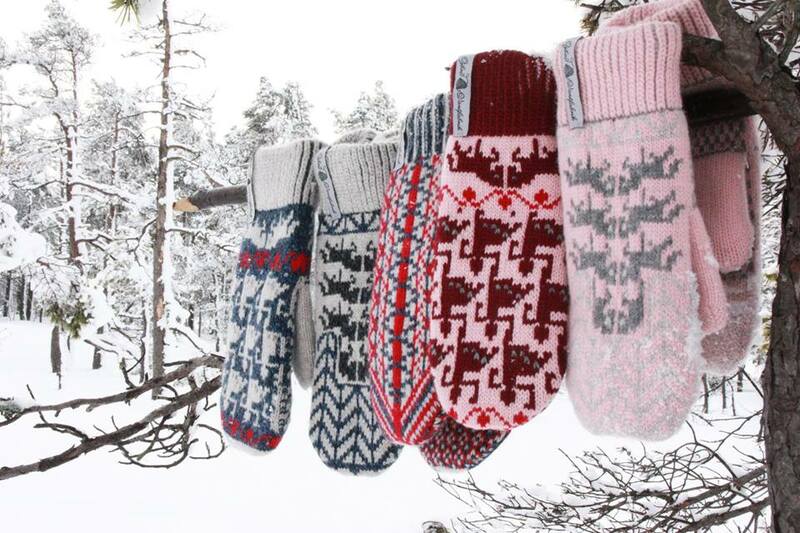 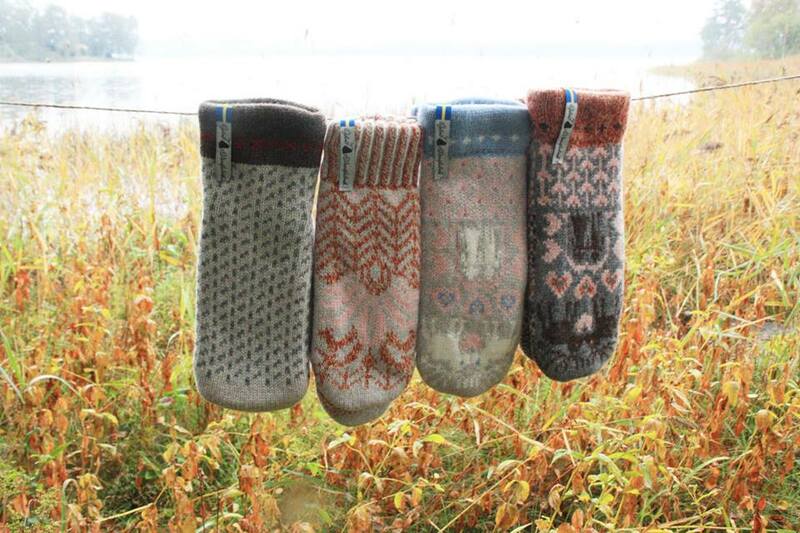 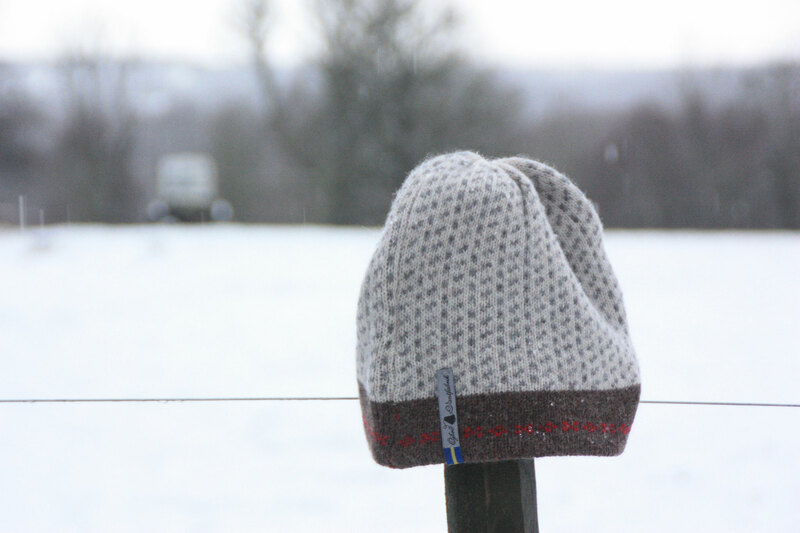 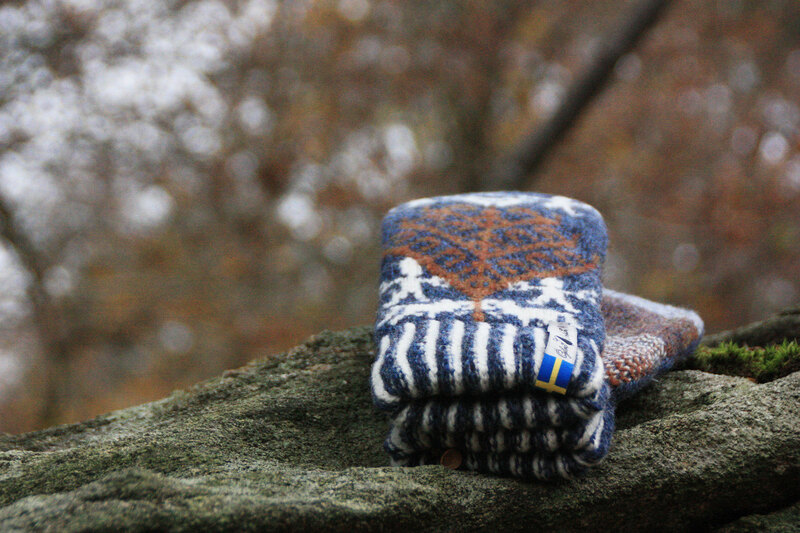 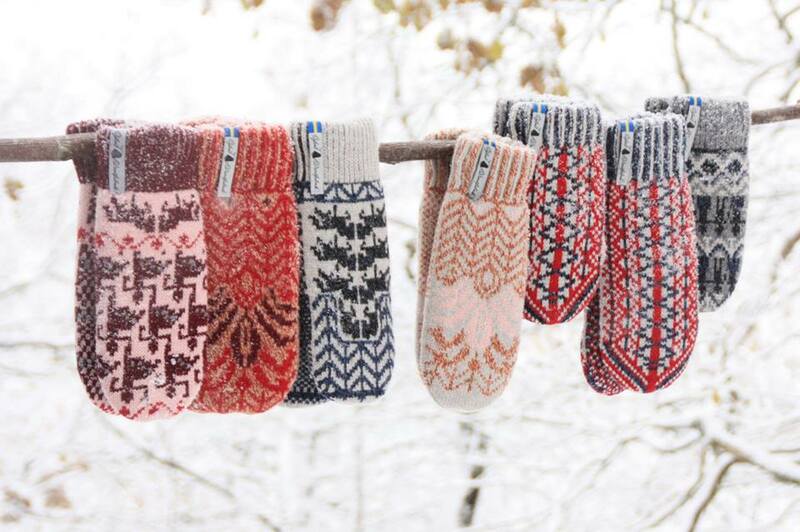 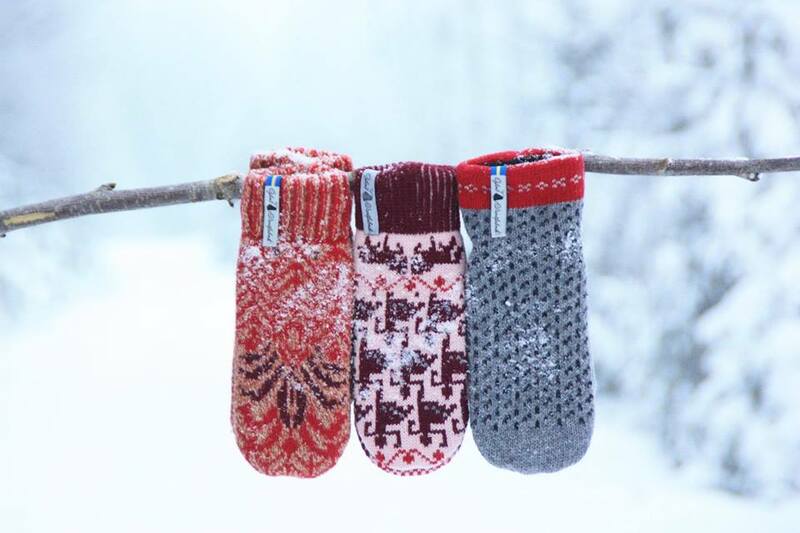 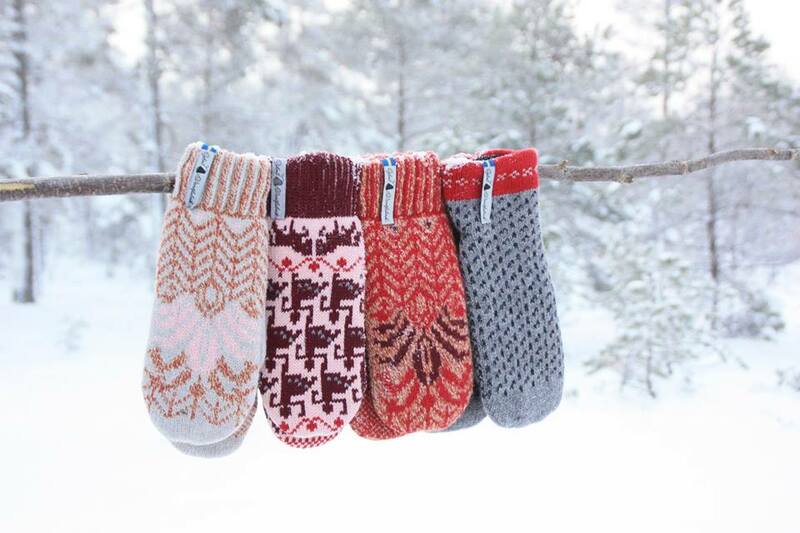 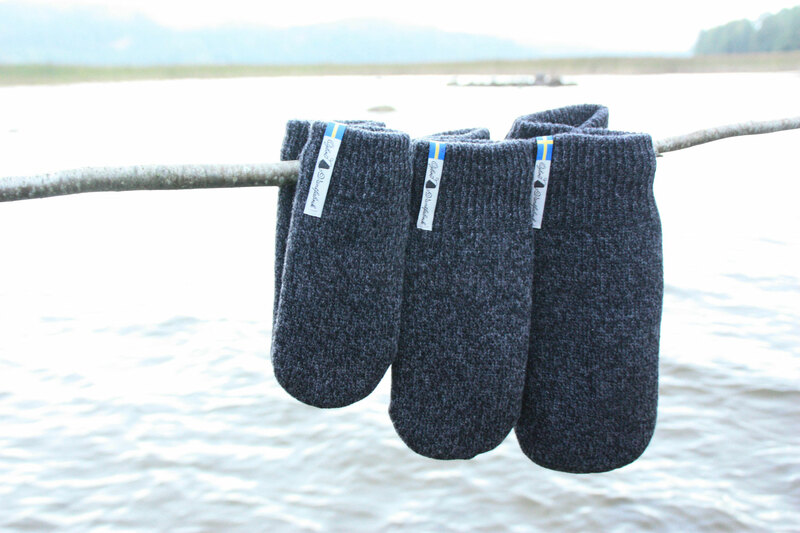 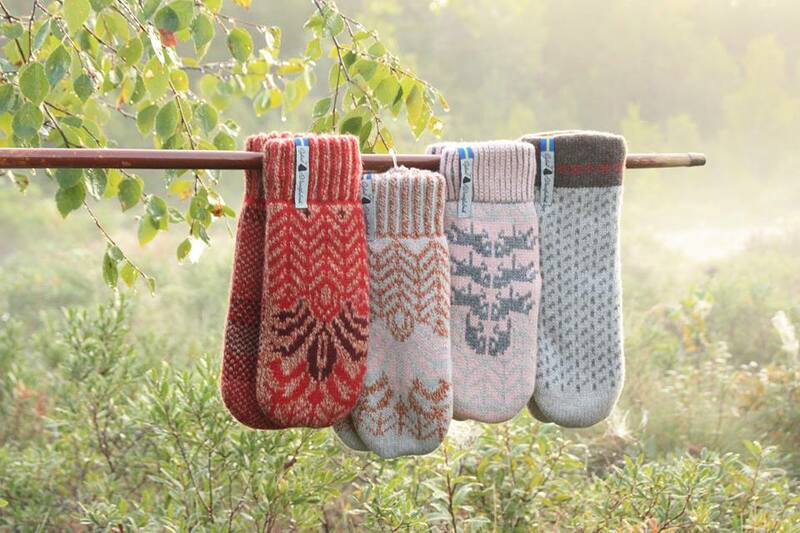 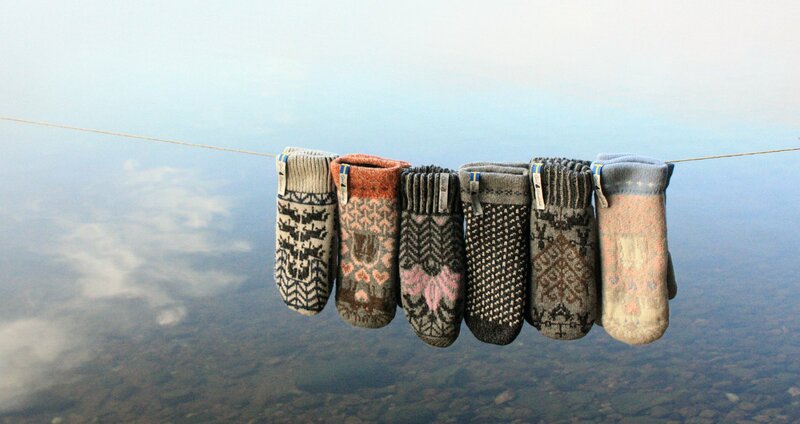 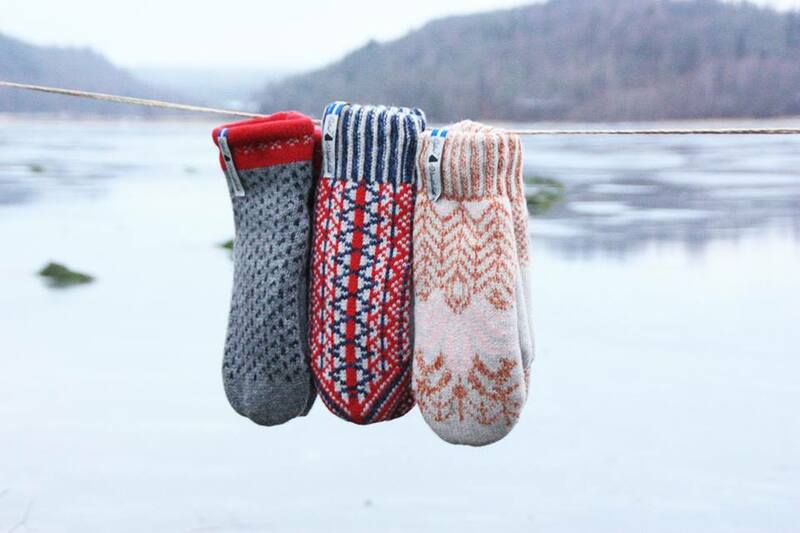 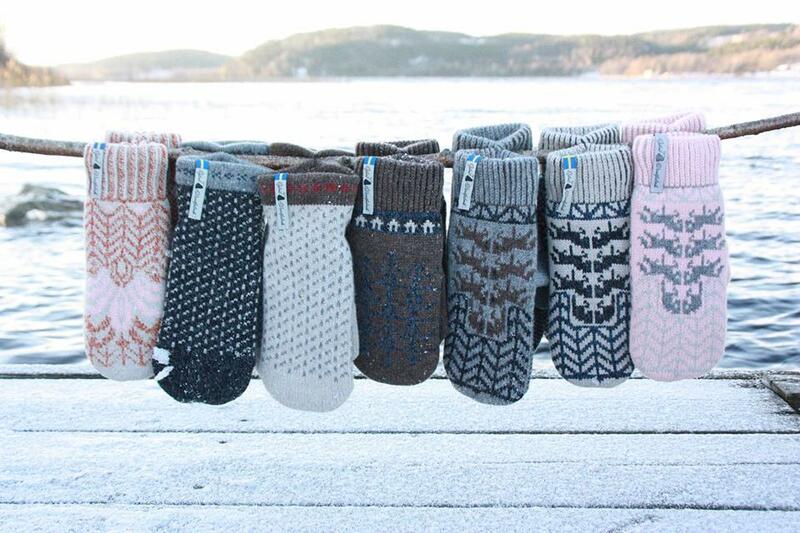 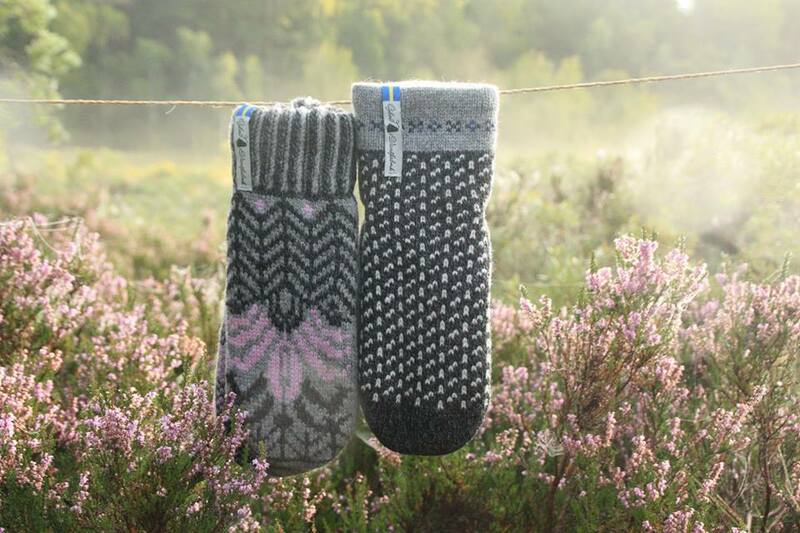 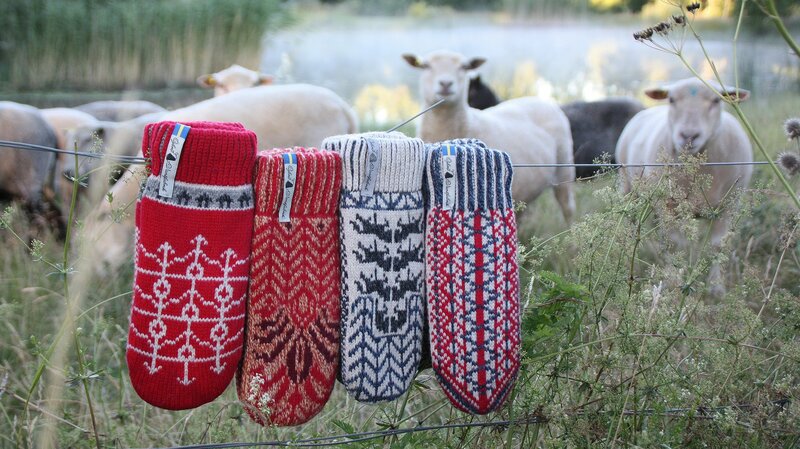 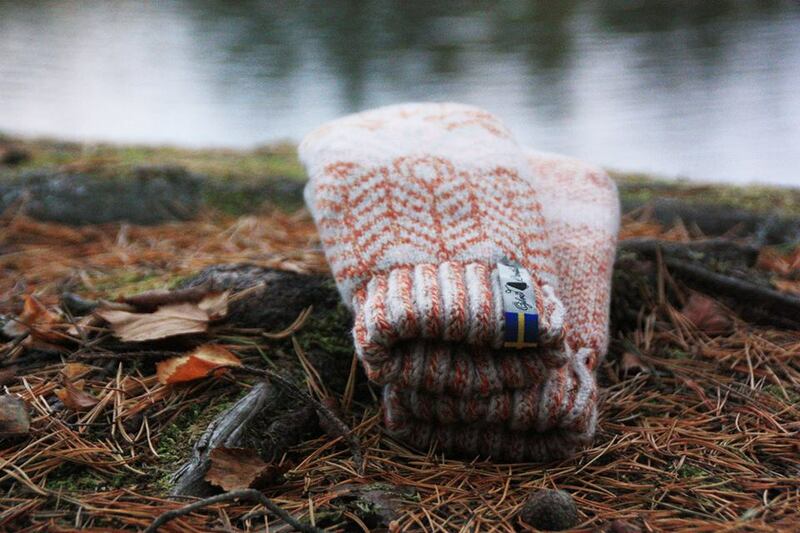 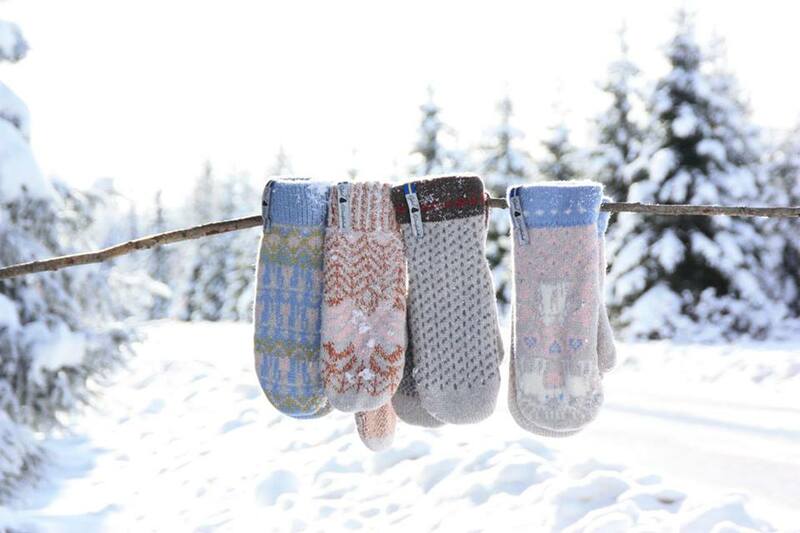 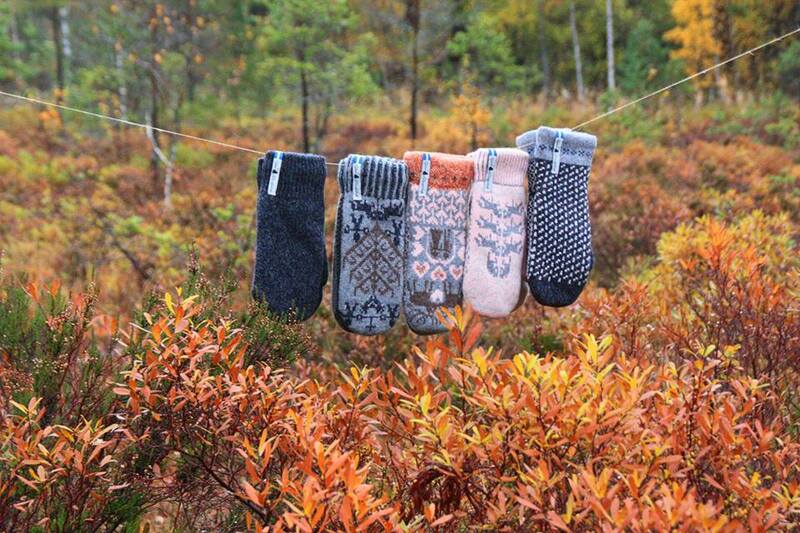 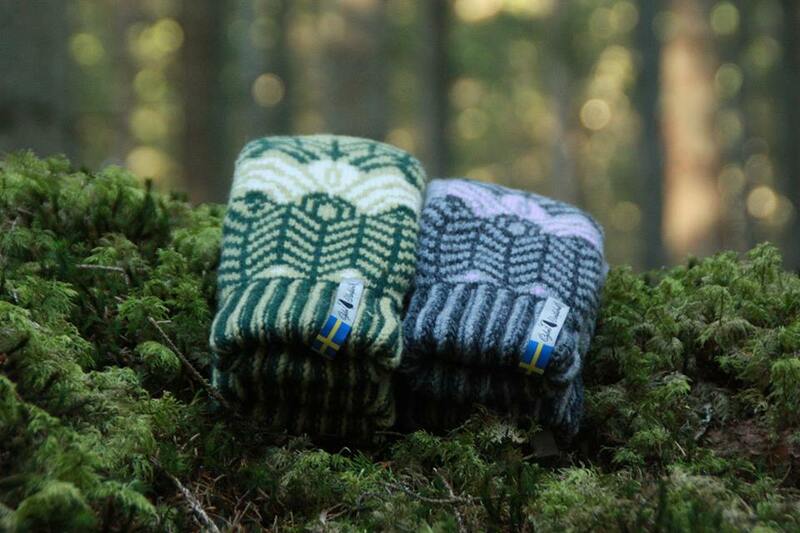 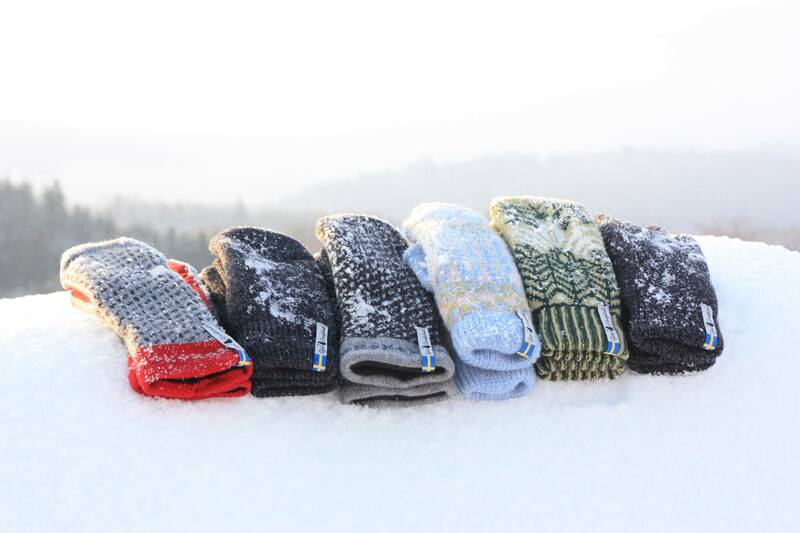 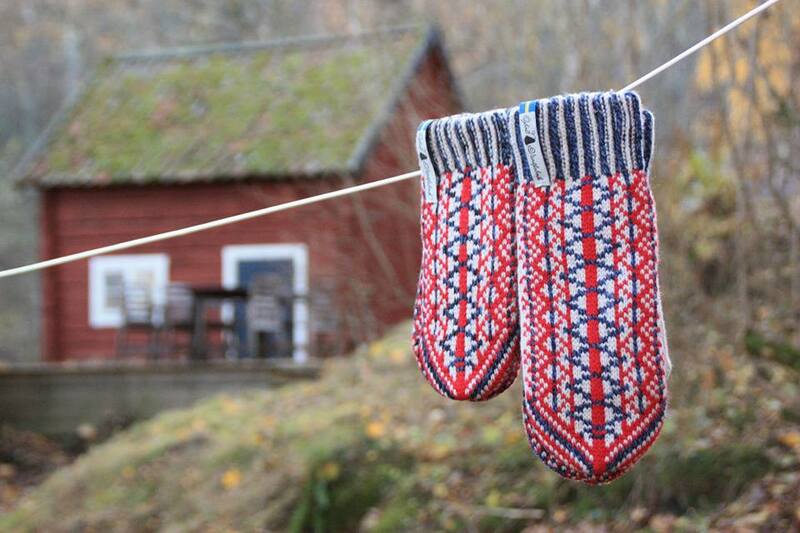 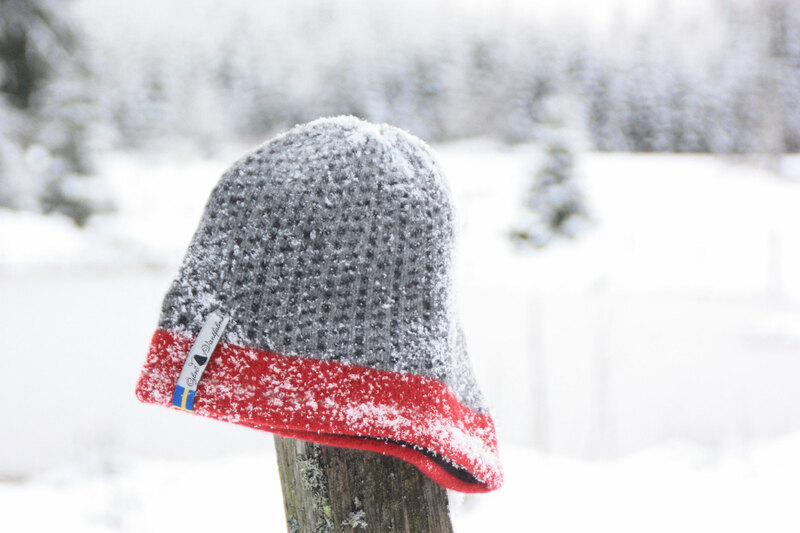 Today, Åse Öjbro and her husband Ted produce a limited annual amount of organic 100% merino wool mittens, gloves, socks, caps, and wrist warmers, in their small family factory set in the Swedish forests and snow capped mountains. 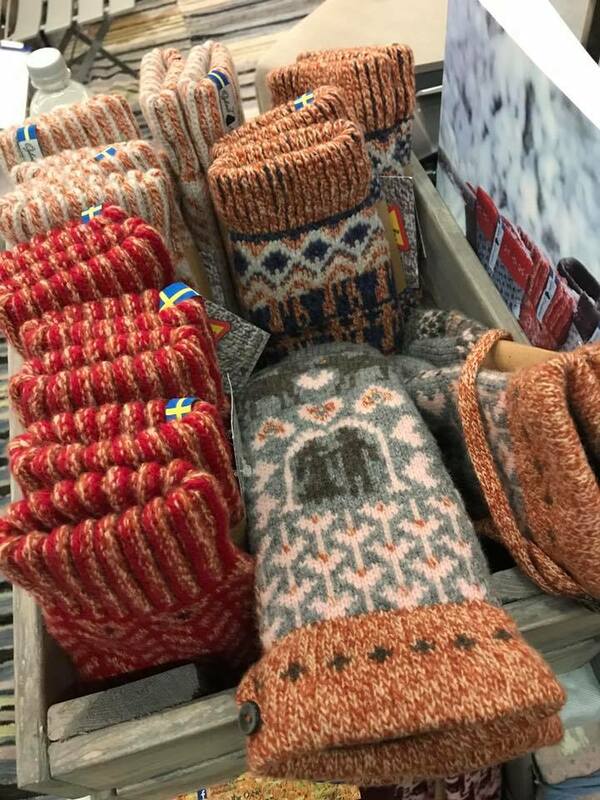 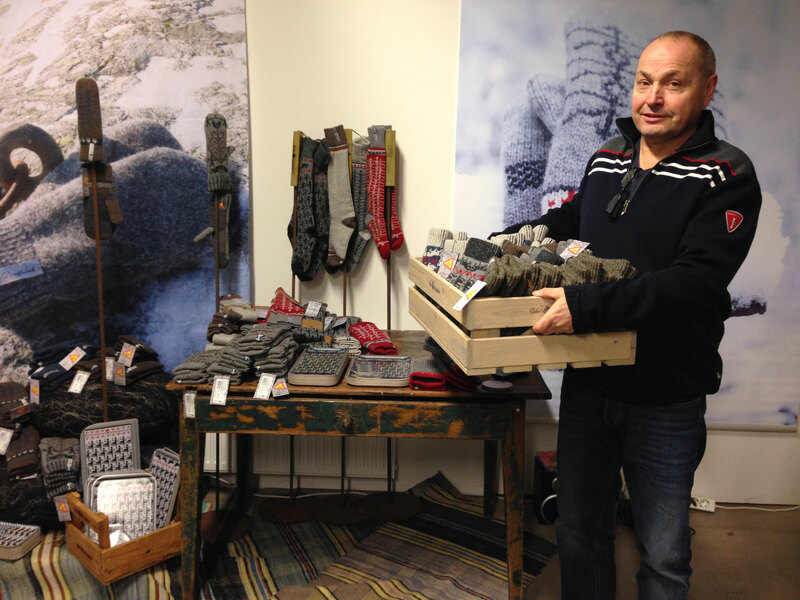 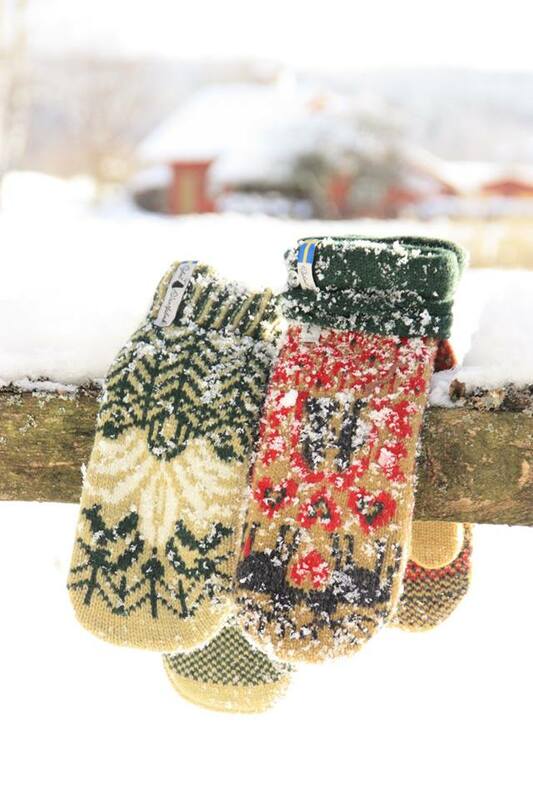 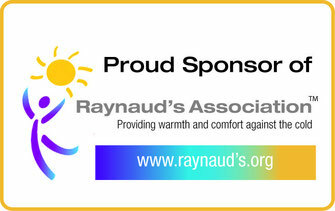 Sweater Chalet and Öjbro Vantfabrik are now Corporate Sponsors of the Raynaud's Association which provides support and education to those with Raynaud's Phenomenon. 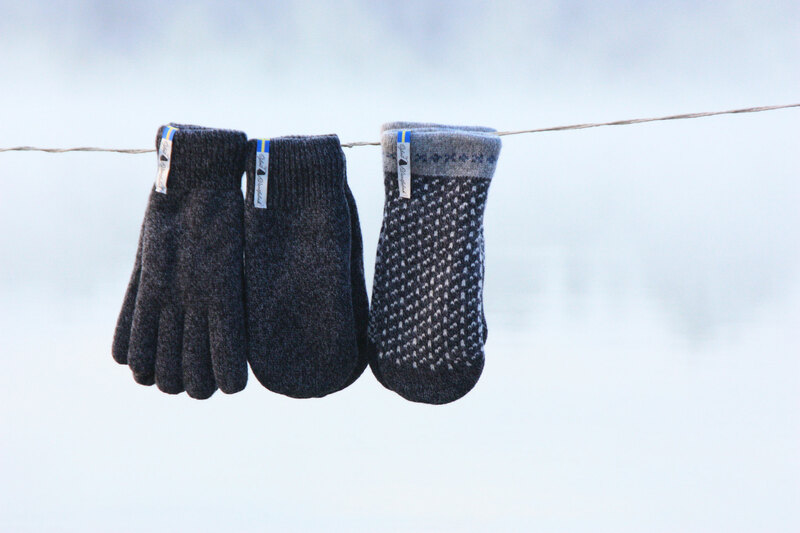 Raynaud’s is a disorder of the extremities, which results in pain when one is exposed to the cold. 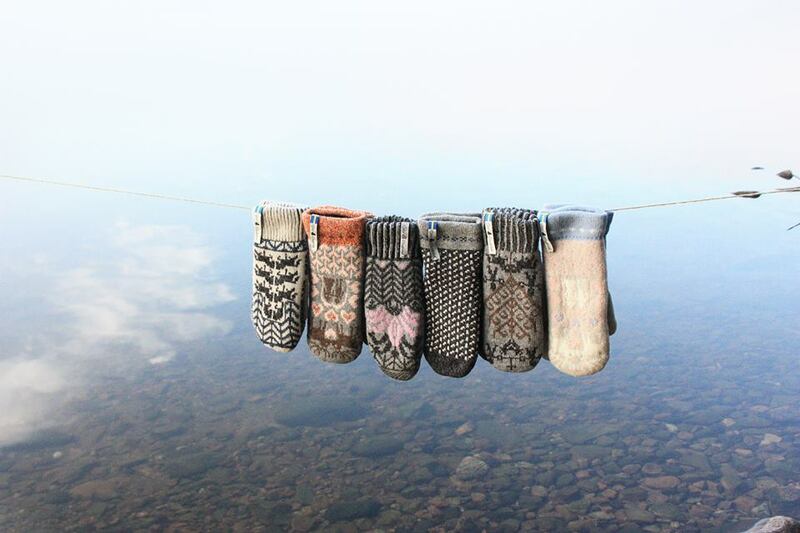 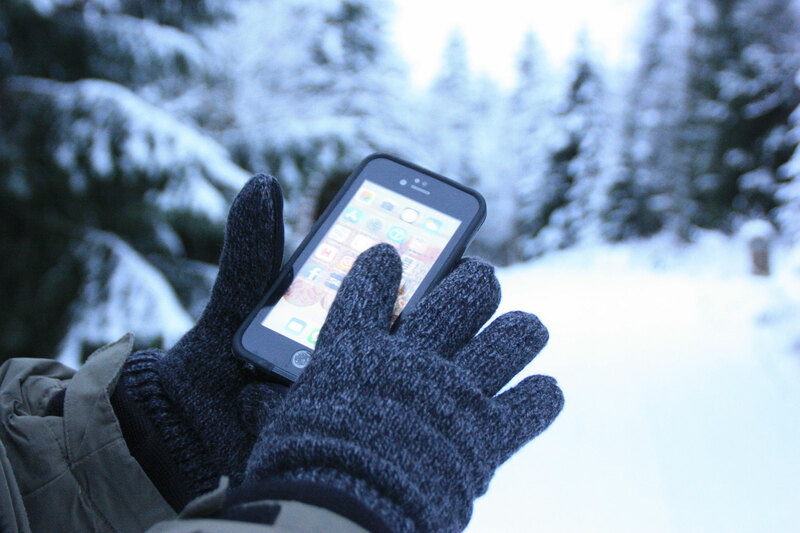 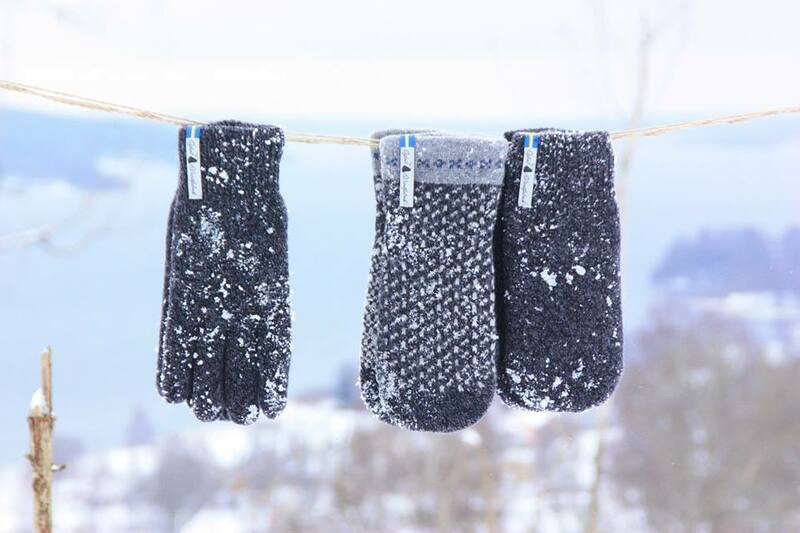 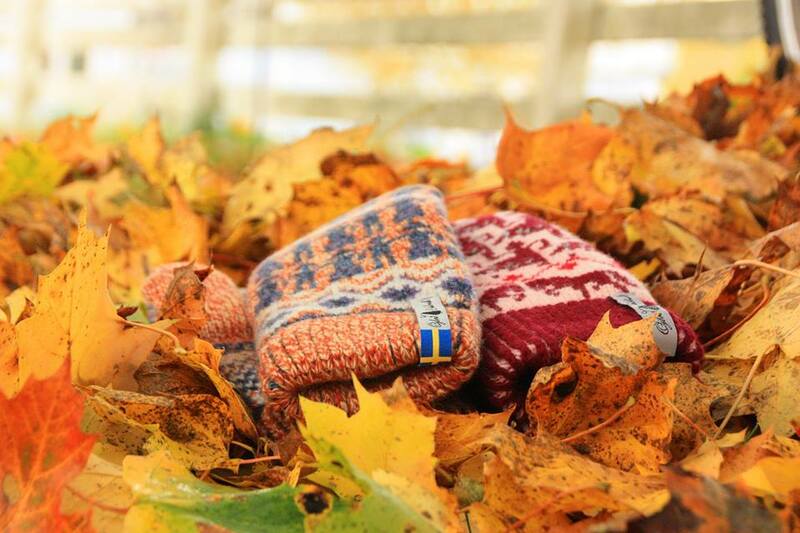 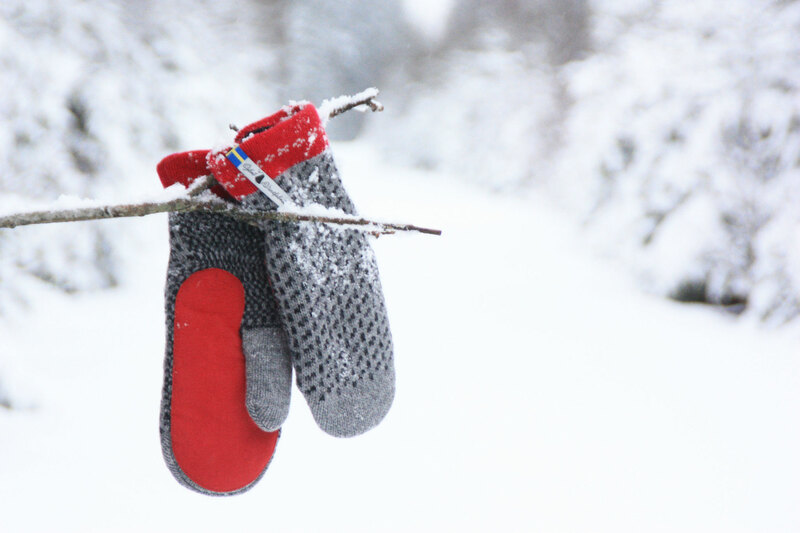 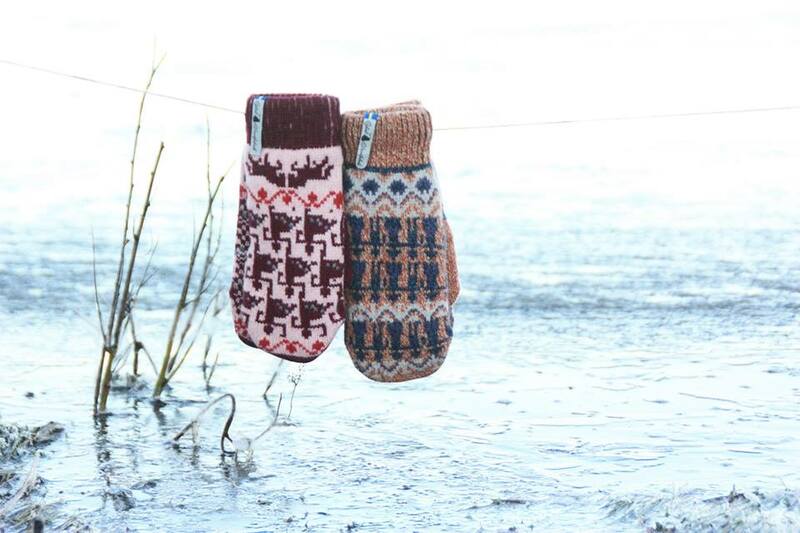 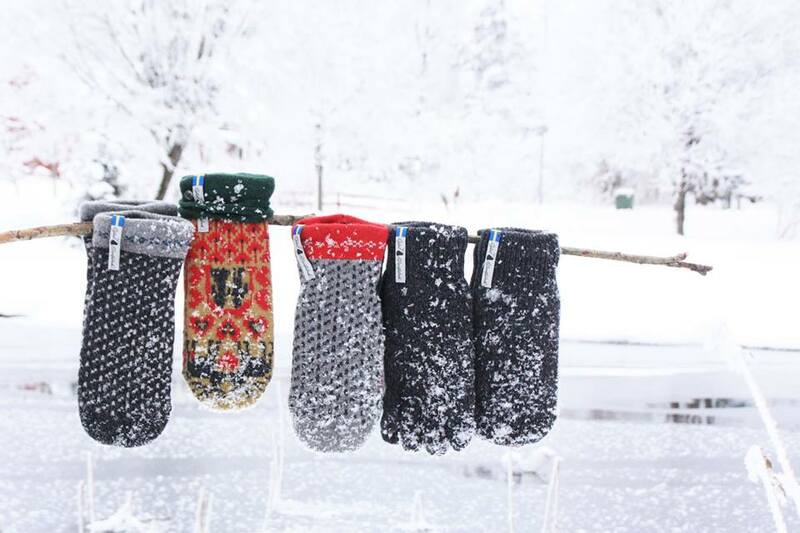 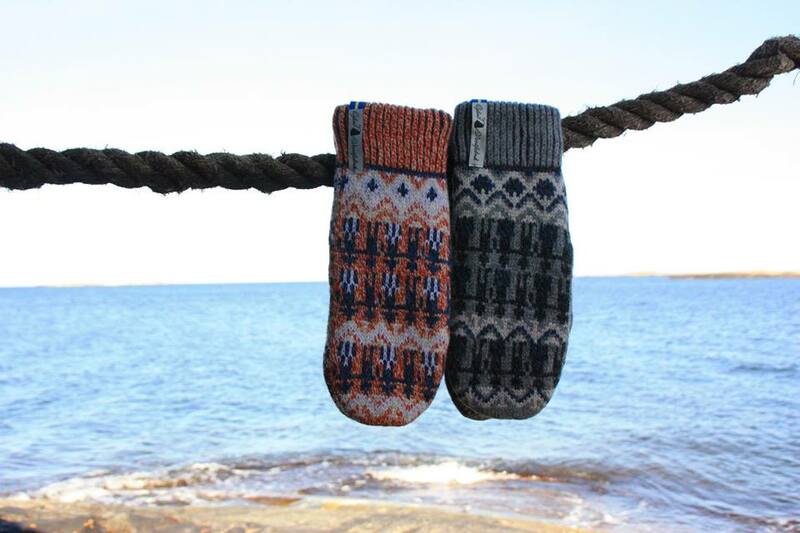 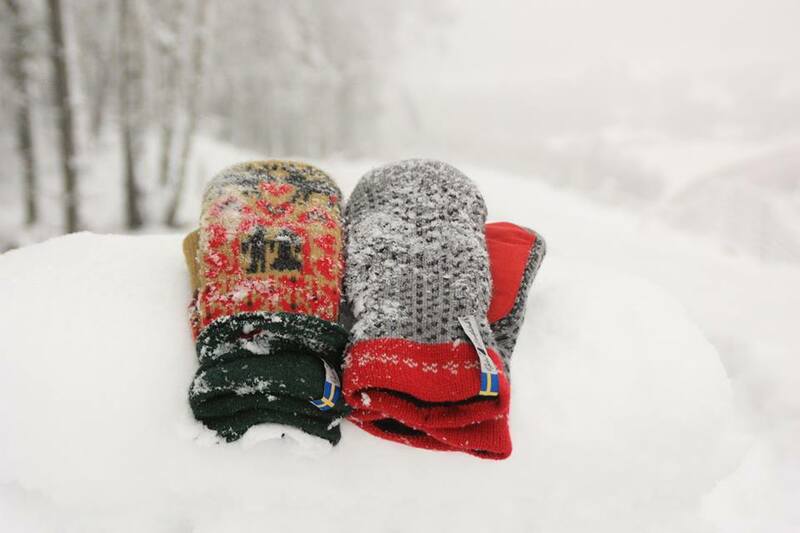 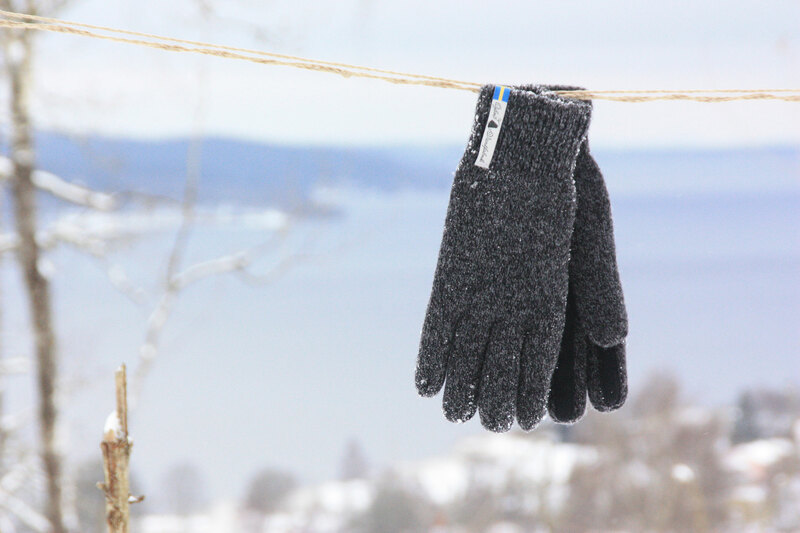 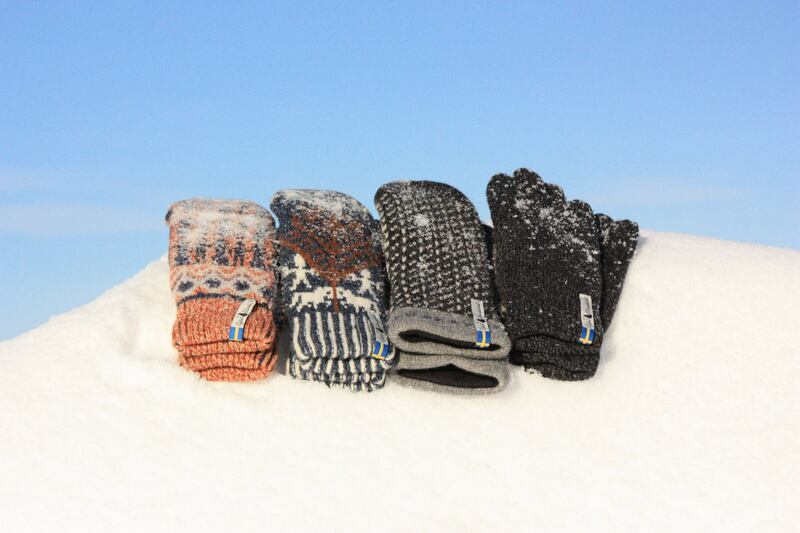 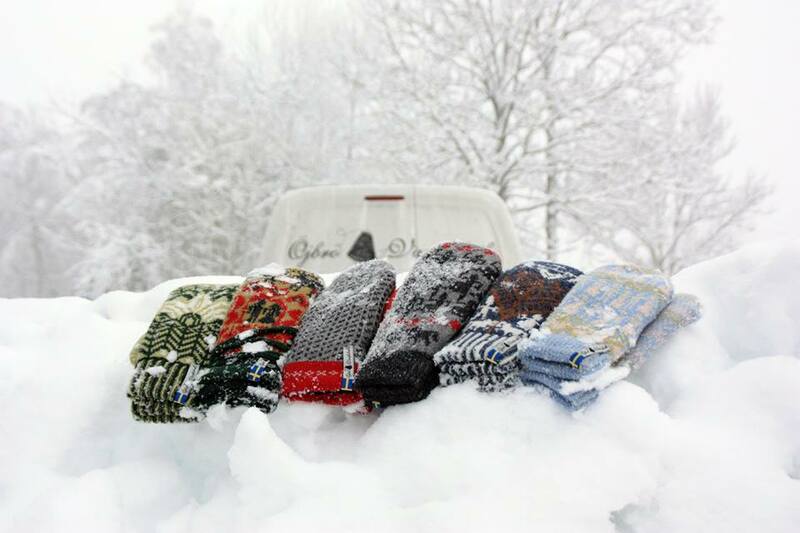 Our Öjbro mittens and gloves can provide serious relief for sufferers and have quickly developed a following among those affected and their loved ones. 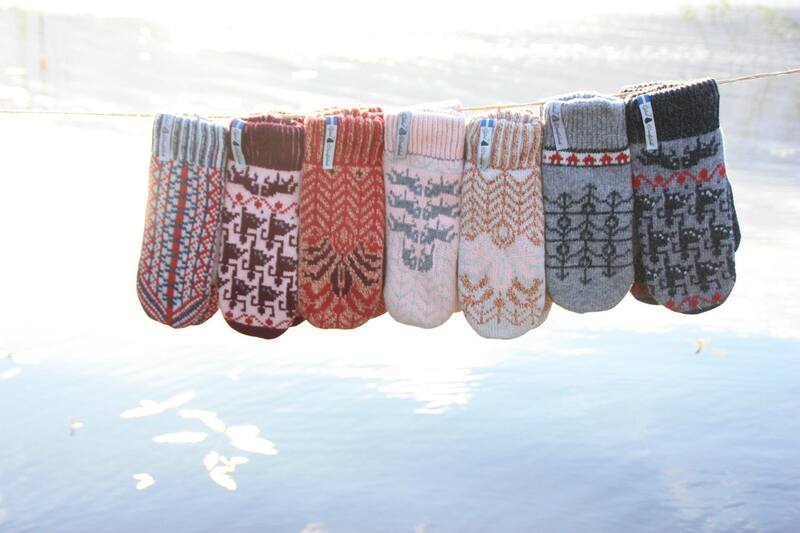 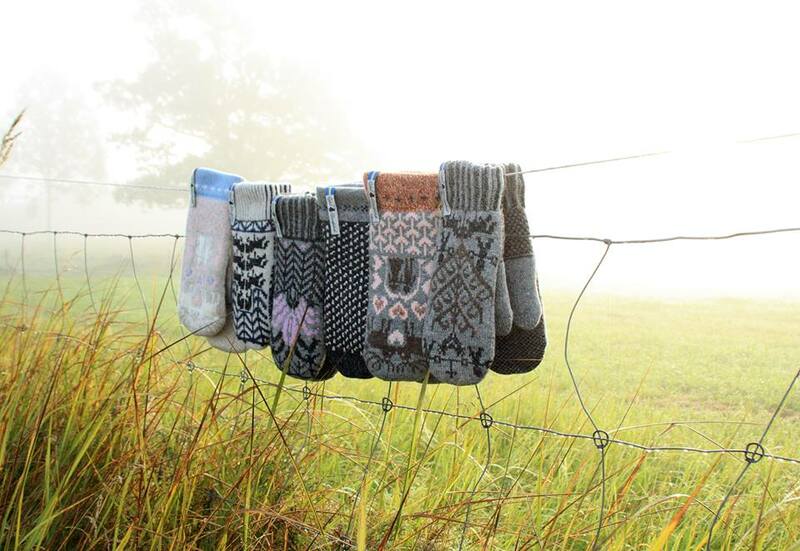 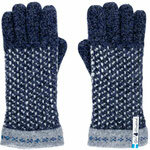 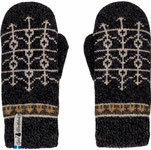 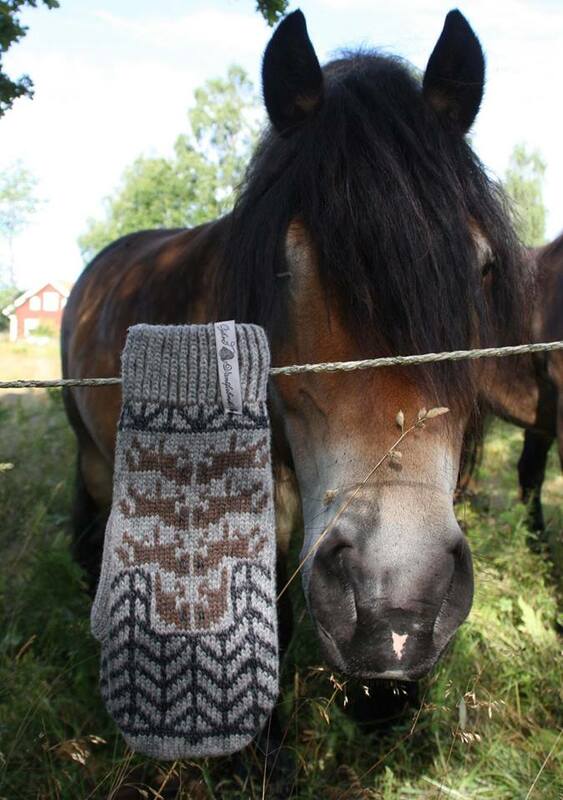 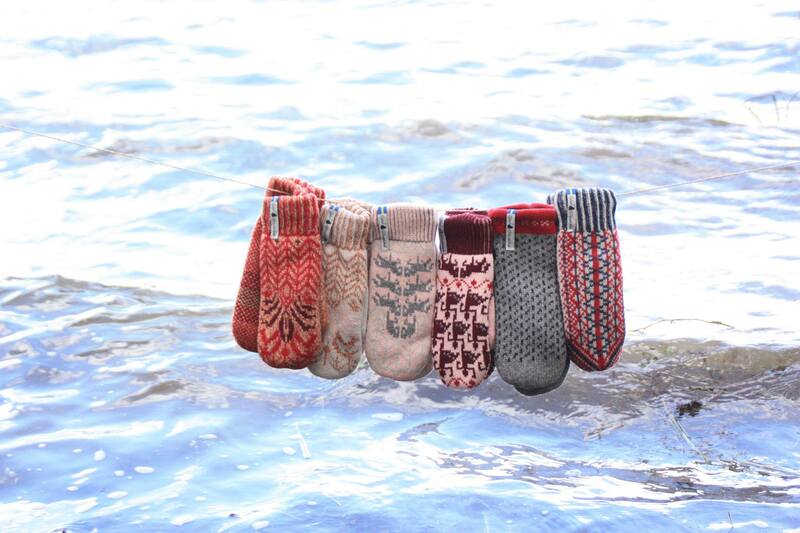 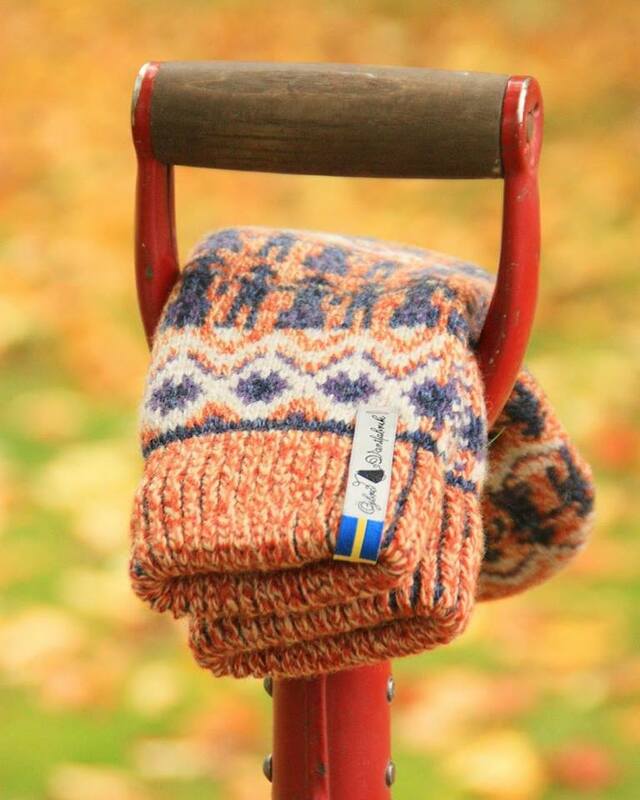 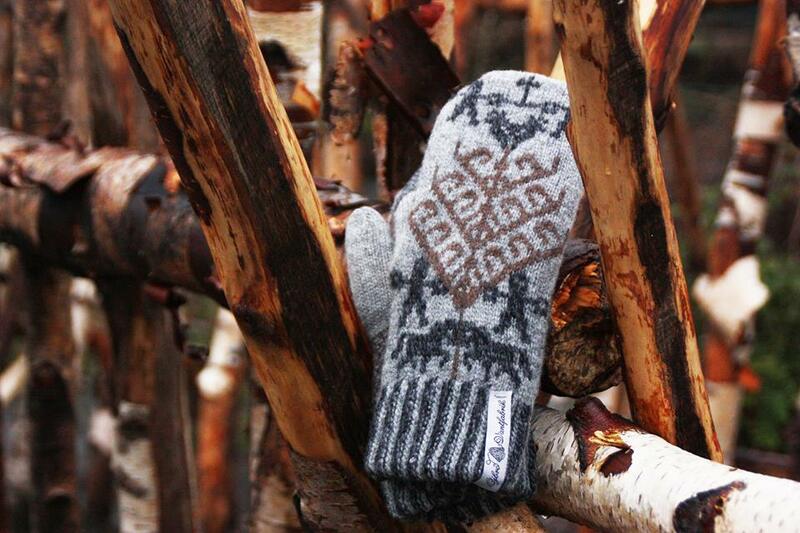 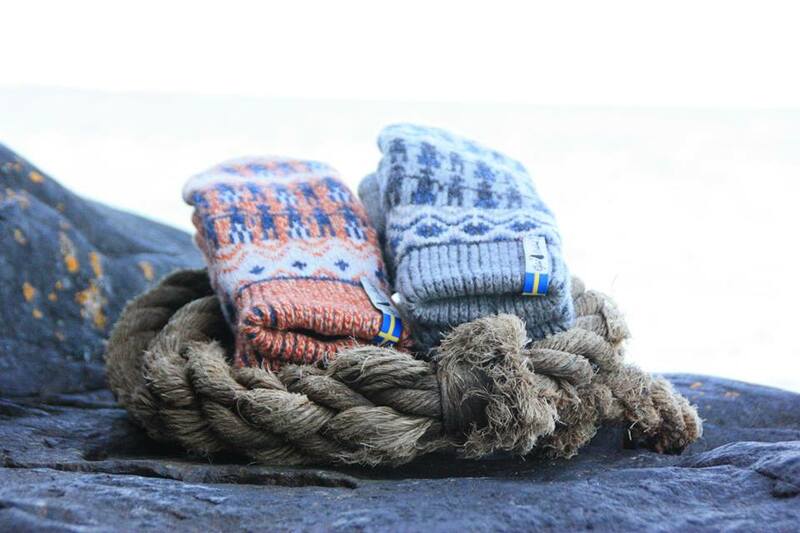 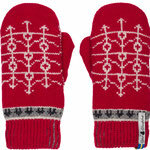 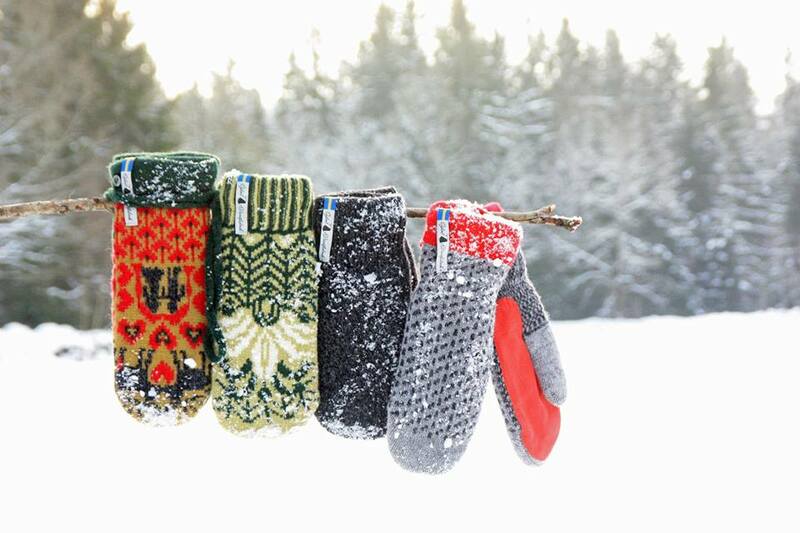 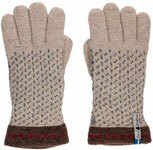 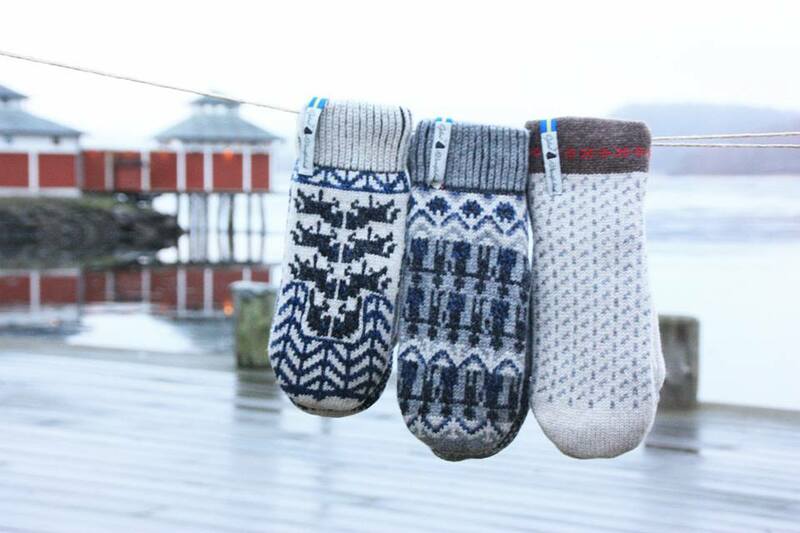 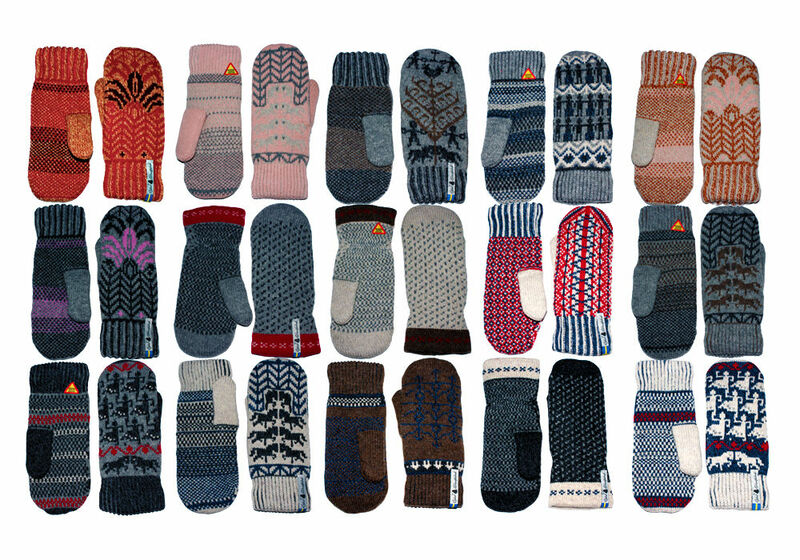 All the designs, all the colors, for the mittens, gloves and socks are now in one pdf download file. 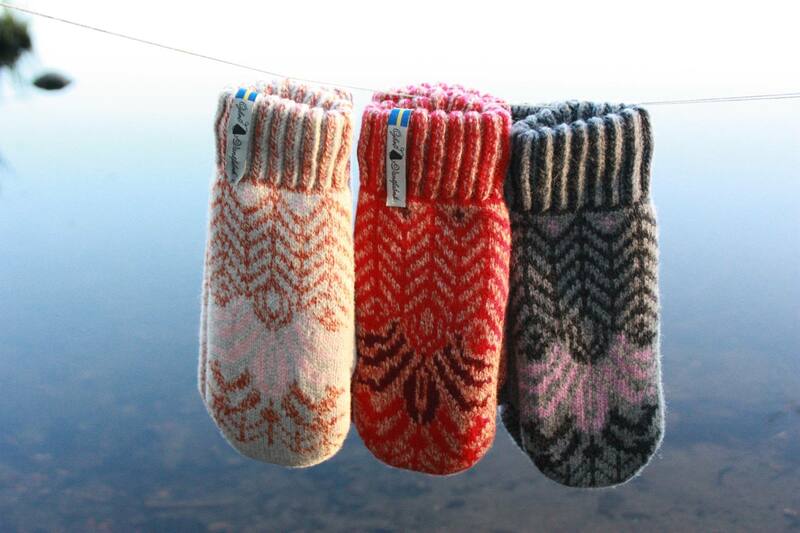 Included are the back stories of each design as described by Ase Ojbro herself. 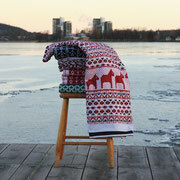 If you do not see for sale, any of the designs in the catalog let us know because they are always available. 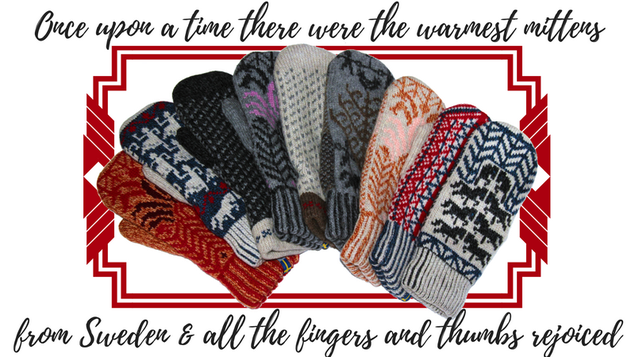 Please email us at sales@SweaterChalet.com if there is a color scheme not shown for your favorite design and we will inform Ted and Ase and ask if they can include it in their next catalog.